The fuel cell vehicle industry is barely getting going and Toyota is already hoping to expand into their luxury brand, Lexus. Their goal: to do for the FCEV industry what they did with the hybrid industry with the Prius. 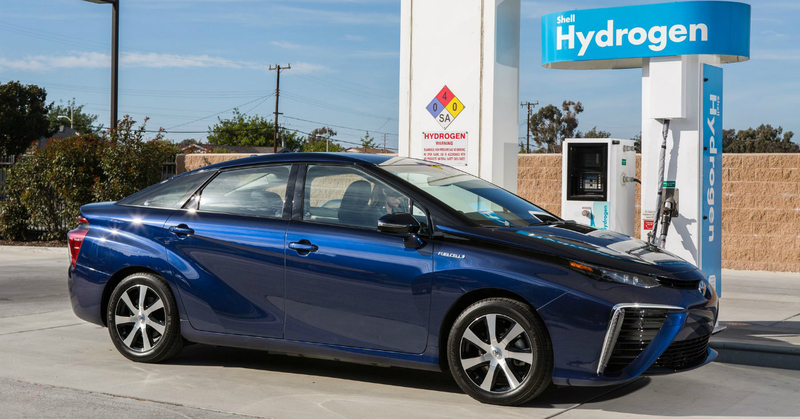 The word “Prius” is synonymous with the word “hybrid,” which is what they’re hoping to happen with the Mirai. If they are able to take the same technology and put it into play with the Lexus LS, they will be trying to beat Mercedes and other luxury lines to the punch in this segment. It’s untested and has infrastructure problems with only 11 charging stations in all of California. That can be scaled quickly, but they’ll need to create a need first. It might be the chicken and the egg dilemma. Assuming this vehicle actually exists, the cost for buyers of this flagship would almost certainly ring up at more than the LS600hL’s $120,440 base price. Autoblog has reached out to Toyota for any further info about this rumor, one way or the other. If we hear back, we’ll update this story with the details.